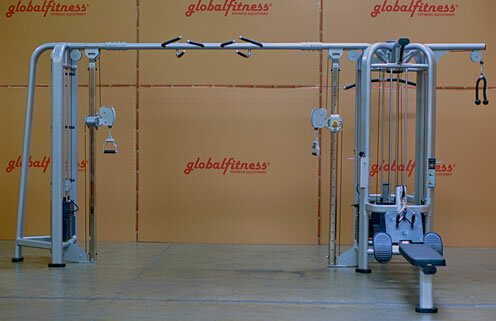 A Multi-Gym - 5 Stack is, and can best be described as follows: A Multi-Gym is a piece of weight training equipment comprised of various multi-zone selectorized workout stations in a connected framework, which allows multiple users to workout at the same time. A 5 Stack Multi-Gym has 5 weight stacks that can vary in mass and weight increments, and can be used to train various muscle groups depending on the particular exercise stations. It can also be referred to as a Multi-Station Gym, Multigym, Multi Jungle, or a Jungle Gym.